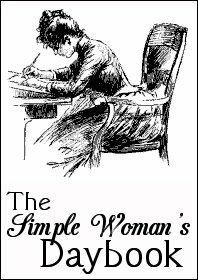 As May sings her swan song at sunset, I'm sitting at my desk wrapping up the May edition of The Simple Woman's Daybook. Outside my window... A quiet, peaceful evening on this last day of May. The bark of a dog off in the distance. The sun filling fluffy clouds with golden light. Blissful twilight. I am thinking... Life is such a miracle. In particular, I'm thinking of the tiny fledglings now old enough to venture from the nest into the big world. They immediately know they should spread their tiny wings and fly, instinctively chirping the same chatter of their parents. Do you ever wonder what they think -- these brand new tiny creatures seeing for the first time green grass and tree branches and the folks staring at them? I am thankful... Today for the rain clouds heavy with moisture that have blessed our corner of the world with much needed moisture over the past days. 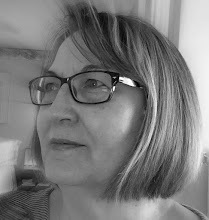 This morning we woke to blue skies and sunshine -- how wonderful to feel the warmth on my face as I planted a scented geranium plant and evening scented stock in a sunny spot in the garden. I am wearing... a smile on my face and gratitude in my heart. I am going... Going to die one day. But not today. And so I'm giving it my all to love the life I have, to create something beautiful with my hands, spread kindness, share love with those I meet day by day. I was wondering... What to include in this section. But now I know! This very pretty soft-petaled blossom of a hellebore. Isn't she exquisite? Just the way a watercolourist might express its delicate features. This is a photo from last summer's bounty. 1. Churchill & Chartwell, The Untold Story of Churchill's Houses and Gardens (in time for our garden tours on our upcoming trip to Britain). Sir Winston has been a hero of mine for many years, so I was excited to find this more personal insight into his home life and gardens. 2. I Feel Great about My Hands, And Other Unexpected Joys of Aging. The title grabbed my attention when I saw it at the library ... perhaps because some days I have not felt great about my oldish looking hands. Turns out the book is a collection of writings by Canadian women 'of a certain age' sharing their reflections about the dilemna of aging with "humour and poignancy." I am enjoying it. 3. Manna From Hades, A Cornish Mystery. While in England our travels will take us to Cornwall. So when I found this book -- new author to me -- at the library, I thought it might help me get a feel for the place. Although I can thank a favourite author, Rosamunde Pilcher, for creating a long standing longing to see Cornwall from reading her stories, including The Shell Seekers. 4. 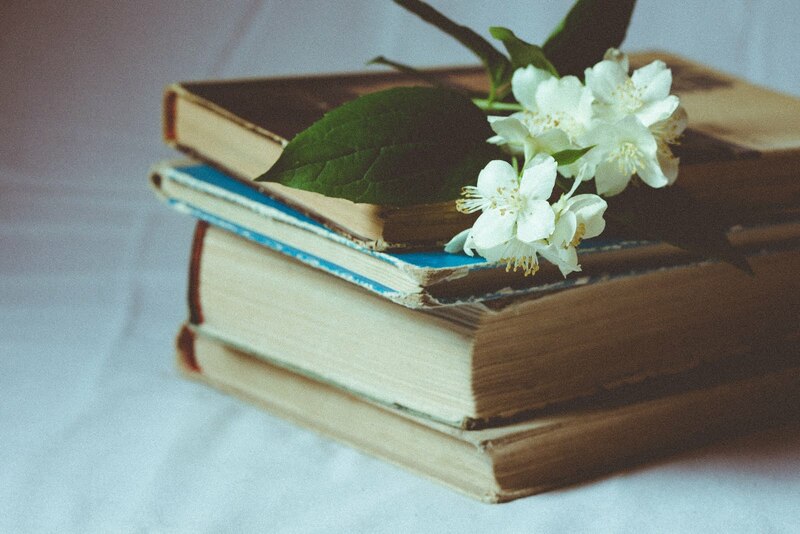 She Walks in Beauty, A Woman's Journey Through Poems. This book I first found at the library, and now when it came out in paperback, I knew I wanted to get my own copy. This NYT bestseller is the brain child of Caroline Kennedy (yes, JFK's daughter). Some poets included in this collection are Elizabeth Bishop, Mary Oliver, W.H. Auden, Naomi Shahib Nye (one of my favourites of recent times), Christina Rossetti, Rupert Brooke, to name a few. 5. LOVE, A Keepsake Book. The first book I ever read of Susan Branch's was A Fine Romance. I was instantly smitten. Over the last couple of years, I've purchased all her recent releases, and I'm now gathering some of the older publications. I found LOVE in the used book section of Amazon for a penny plus shipping. It arrived the other day and so I had an enchanting read of this little book first published in 1994. Every page is a feast for the eyes -- there is no mistaking Susan's creative artistry and 'heart'. I am hoping... For the very real pleasure of meeting up with one of my blogging friends, Elizabethd while we are in England. We will be passing through Cornwall and, keeping fingers crossed, we're both hoping for the chance even of having a brief visit over a cup of tea together. In real life! Elizabethd, if you read this, I'll be in touch once we get the exact place of where we'll be stopping. I am learning... The best way to get things done is to begin to begin and do it one step at a time. Not look at the destination all the time, but confident in knowing every step I take on the journey to a project done or a destination won will bring me the desired result. I'm learning this as I write on my memoir. I find it works for cleaning drawers and cupboards in my house. Now it seems, it works exactly the same way as I work bar by bar on my Chopin piano piece. In my garden... the Toba Hawthorne is loaded with pink buds coming into full bloom. The photo at the top of this post gives a glimpse of this glorious tree right outside my office window. Do you wonder then why I daydream as I sit here? 1. I set the table before I start preparing a meal, so I'm not trying to stir the gravy, drain the potatoes, and get the plates and cutlery on the table all at the last minute. This simple act makes me feel ahead and not behind -- in control of the situation. Plus, should anybody poke their noses in the kitchen wondering when's supper (if it happens to be a little late), the set table gives said 'anybody' assurance that such a marvel is truly underway. 2. Early in the day, usually as hubby and I are sipping our morning coffee, we ascertain the general idea of what we're going to eat that day for lunch and supper. Sometimes it's the most important piece of conversation we have in a day. It means I can get on with other things knowing there's a plan in place. Nothing like not knowing what's for supper till the last minute to add unneeded stress. 3. I leave room in my day for meal preparations. It cannot be done on a whim, I've learned. Years ago, I realized that I kept trying to fit too much into my days, and more to the point, into my afternoons. For example, if I am to meet a friend for coffee or do errands, I now plan it for mornings or early afternoon, so that I can be home by mid-afternoon. That way there's time to unwind, start gathering ingredients, setting the table, pouring a glass of something. Of course, that doesn't always work out, but it's a general guideline that has helped keep grumpy cooks at bay for the most part. "I open the door of my heart so the losses march out." "I listen for the fragrant grace notes." Warm and transform our hearts." 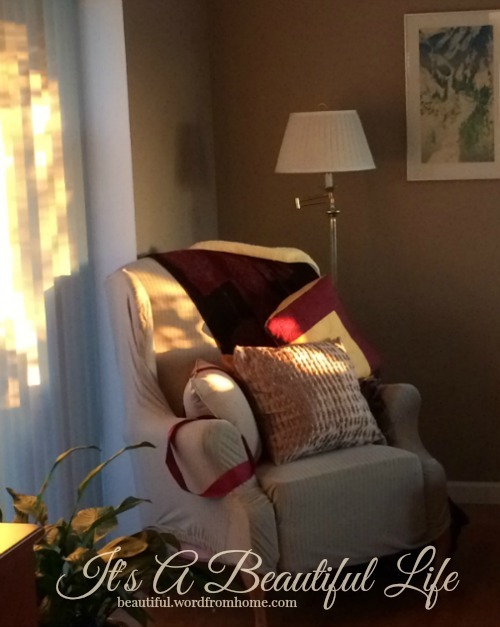 One of my favorite things... Dappled light streaming into a room at sunset. Doesn't that corner look cozy? It's a picture I took of my sister-in-law's living room last summer. 1. 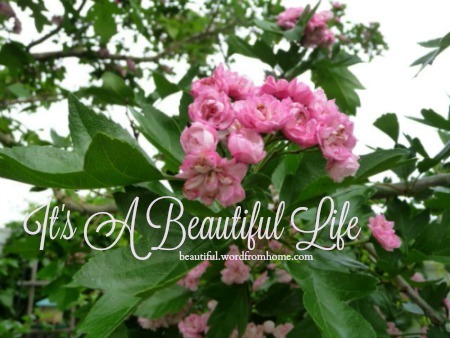 KellyCreates -- Scrapbooking and Paper Crafting Blog. 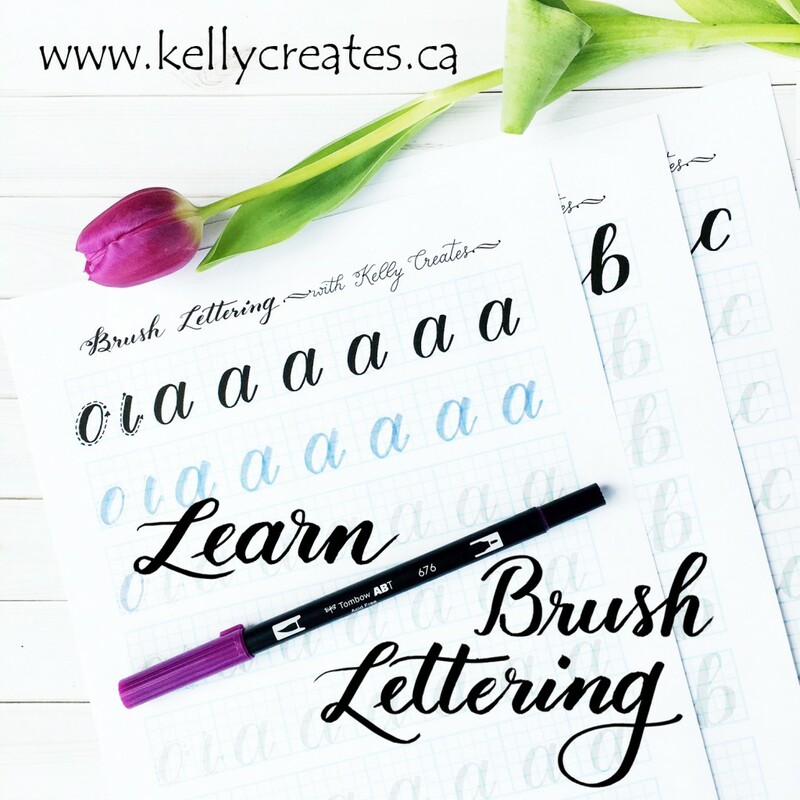 Kelly, who turns out to be a fellow Canadian, shares tutorials, free downloadable templates for brush lettering. This looks like so much fun, not to mention, totally relaxing. I felt myself sinking deep into my chair as I watched a short video where she created beautiful lettering with the strokes of a brush pen (this is new to me -- I must get me some of those). 2. 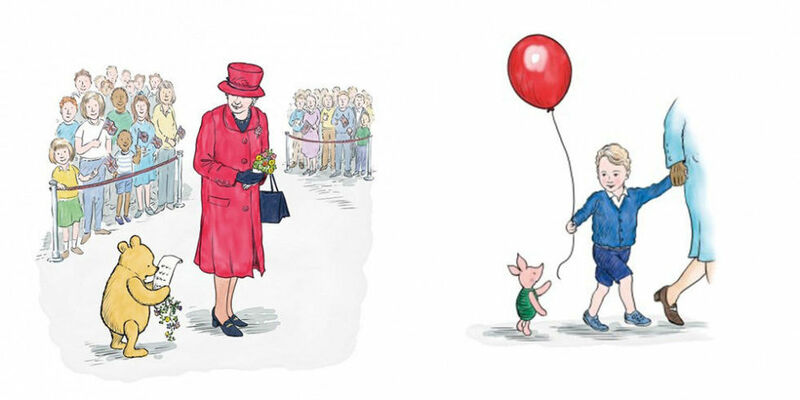 Did you hear that there's a new story with Winnie the Pooh, showcasing little Prince George and his great-grandmother, the Queen? I hope this book is available for purchase when I get to England. I must have me of one of these too. There ... it's done. 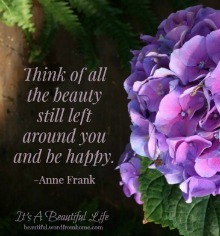 On that note, and with a hint of flourish, we bid farewell to the beautiful month of May. And, I take this opportunity to wish you a beautiful new June ... all fresh and bridal in anticipation of summer's adornment. May the pages of your own life story be filled with many glimpses of heaven in unexpected places. Brenda, I am keeping that day free! And hoping we can work it to meet. What a lovely read to start my day. Thank you. What is it about dappled shade that is just so satisfying at some deep place in the soul? 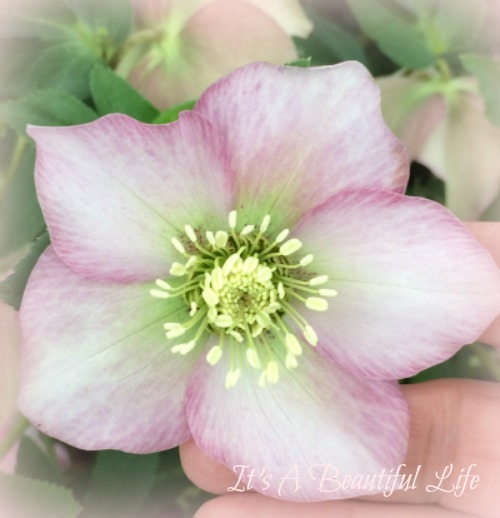 Love the photo of your hellebore. It's gorgeous. And I like your kitchen tips too, haha, I resonate with the table swing idea! And I think I will look up your author, Susan Branch. Thanks for your thoughts, Brenda! Oh Brenda, how wonderful that you will be meeting up with Elizabeth, one of my favorite bloggers! If I didn't have a cousin in Wales, we'd be visiting Cornwall, too. It's so difficult to choose where to go. This was a lovely, chatty post and I enjoyed every word. I hope the Winnie the Pooh and the Royal Birthday is published as a book - when I went to the link it said that it was just an e-book or an audio download. It would make a fun gift for my little grandchildren. Happy June days to you! Lorrie, Lovely to hear from you with a hint of your upcoming trip too. I read about it on your blog today. Sounds heavenly. I'm hoping the same thing about the Winnie book -- I noticed it's just an e-book or audio right now. The audio would be splendid. June is filling up quickly around here as we countdown. Wishing you your own happy June days. I find myself getting excited about your trip to the UK, Brenda. I wish you could cross over in grand style, on the Queen Elizabeth perhaps, first class of course, got on steam trains, wear elegant hats, mess about in boats, have high tea. Oh, you will have such a grand time, full of literary references, and come home with wonderful memories. And marmalade. Oh Amalia, You made me smile. We did seriously consider crossing on the QE2, but decided to keep that for another time (we have some serious milestone celebrations coming up next year which we thought a voyage first class would be a splendid way to celebrate). And I agree with the idea of elegant hats, steam trains, messing around in boats, and having high tea. We do a short boat trip to get to the Hampton Court Flower Show. And don't forget the marmalade. Oh yum!